I haven’t read a romance novel in such a long time. 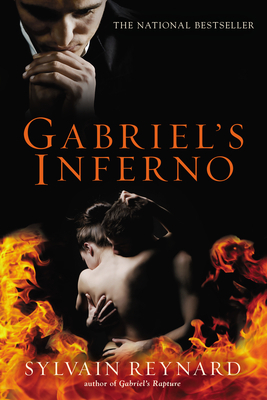 My first encounter with Gabriel’s Inferno was on the internet in one late night at my office about three months ago, and I’ll be forever grateful for that extra job that drove me crazy that day. This review is my token of appreciation to the book and the author, Mr. Sylvain Reynard. Not only for the beautiful story itself, but also for a lot of amazing people I meet afterwards. Gabriel’s Inferno is beautifully written and filled with unforgettable lines. When I first read the summary, I thought it’s just another ordinary story about love. But I can assure you now, it’s far from ordinary and it’s not just about love, it’s about loss, life and death, despair, redemption, abuse and healing. What’s more, I can’t help but to fall in love with the characters; a dark and tortured hero with a sweet and innocent heroine. In my personal opinion, Gabriel is a very interesting character. Sure, he was an a-hole at the beginning (I really wanted to slap the crap out of him) but as the story grows I can see how he try so hard to make up for his past behavior. And Julia, in my own opinion, is one of the strongest female character I have ever read. It’s rare that I read a book more than once, but there’s just too many beautiful phrases in Gabriel’s Inferno that make me want to read it again. Gabriel’s Inferno is a must read and you won’t regret it (if you don’t like the story, at least you’ll get new knowledge about Dante Alighieri, art and some really good songs).